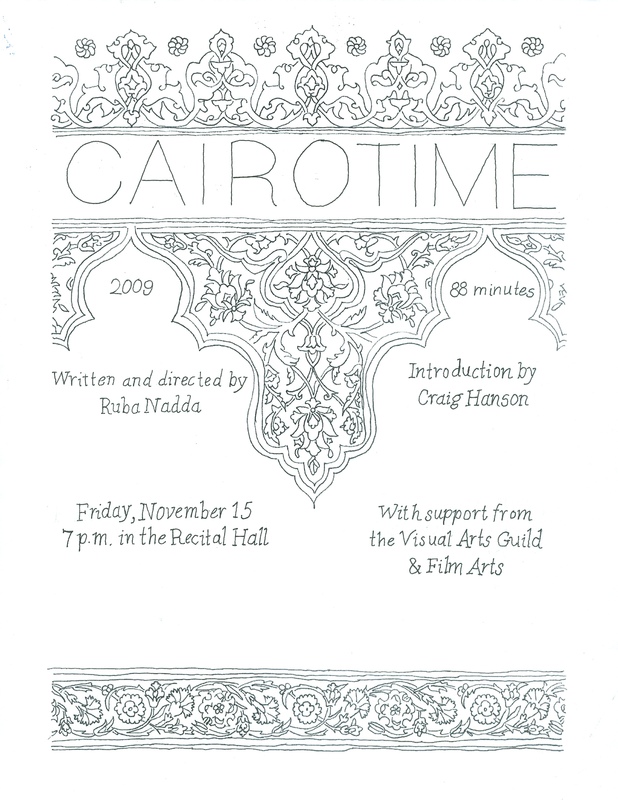 On Friday, November 15, at 7 p.m., Professor Craig Hanson will be giving an introduction on Cairo Time, followed by a film screening and discussion in the Recital Hall. The event is part of the C/O Exist Middle East Culture Series, and is sponsored by the Art History Department, the Visual Arts Guild, and Film Arts. Cairo Time is a meditative story on the tensions of East and West, the stirrings of unrequited loves and a love story to and set in the beautiful city of Cairo. The film is a poetic and political romance by Syrian-Canadian filmmaker Ruba Nadda.